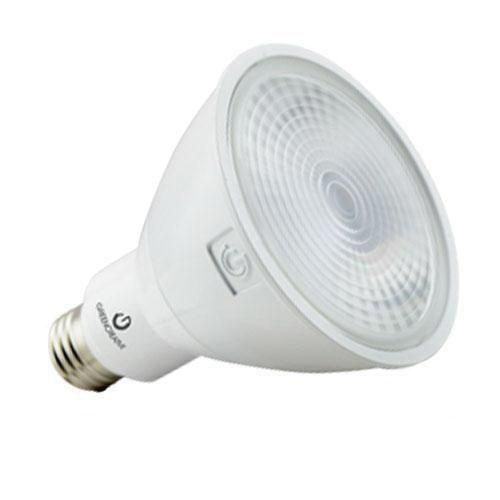 Green Creative Titanium ParLine Refine Series 12.5-Watt PAR30 E26 Medium base LED lamp offers 850-Lumens of bright light output. It has voltage rating of 120-Volts. This lamp has color rendering index of 90. Lamp with 3000K color temperature rating radiates warm white light to the surrounding. 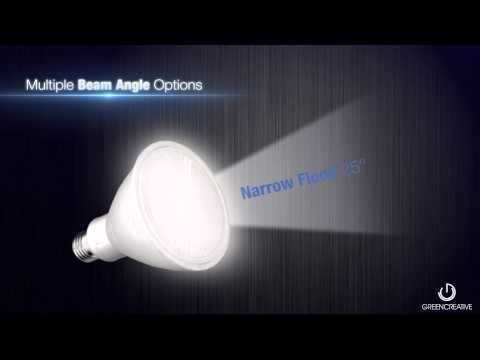 It offers narrow floodlight distribution at beam angle of 25-degree. This lamp measures 4.72-Inch x 3.74-Inch Dia. It has efficacy of 68 LPW and comes with average life of 40000 hours. This extra-long lamp features full face optic and sleek design. It has tight LED binning for consistent CCT across all lamps. This lamp is ideal for commercial applications. Lamp is cULus listed and Energy Star certified.